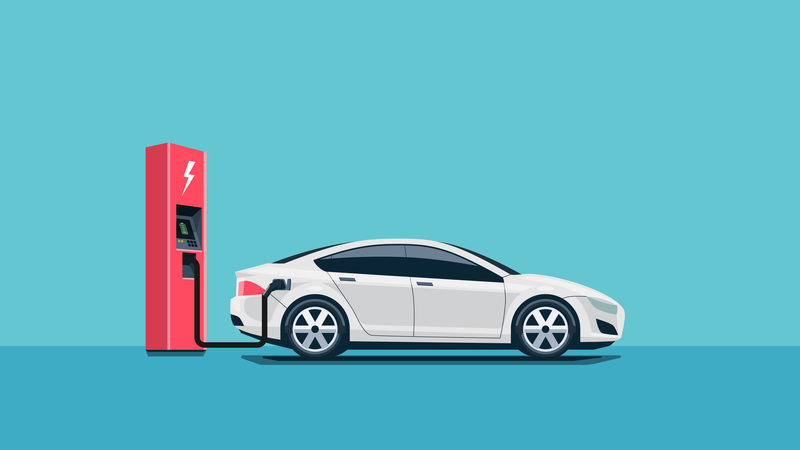 Electric mobility and Tesla Motors are words that have almost become synonymous with one another. But contrary to popular belief, electric cars have been an active experiment in mobility much prior to the advent of Tesla Motors. From as early as the 19th century, the likes of William Morrison, Thomas Edison and Ferdinand Porsche, all invested time and money into making battery powered commute a reality. For better or for worse, with the turn of the 20th century came the availability of cheap gasoline and Henry Ford’s Model T. Together they made gasoline-powered vehicles relatively inexpensive and widely available. On the other hand, there was the low-speed, low-mileage yet high-cost electric vehicle. The choice for the average commuter was quite clear. The convenience of gasoline cars, of course, came at the cost of our environment. In 2010, NASA confirmed that motor vehicles were the single biggest contributor to global warming. The environmental red flags, coupled with advancements in electric mobility by the likes of Toyota, Honda and Nissan, to name a few, have presented the world with a prime opportunity for sector turn-around. Unfortunately, the surfacing of such market disrupting technology rarely brings with it a set of prescribed laws that can be practically implemented for optimal impact. Having said that, in order to sustainably assimilate these technological disruptors into society there is a definite need for accurate and timely policy intervention. In the case of battery-powered vehicles, sustainability of the disruption will come from monitoring the market for orientation, stability and preparedness of individual segments (2Ws, 3Ws, 4Ws and buses), transition on a fleet level, available as well as required infrastructure and lastly, but most importantly, keeping in mind the desired outcome for accurate intervention. Fortunately for world governments, because of the very nature of such disruptors, patterns begin to emerge as the market re - adjusts itself to a new reality. In the case of India, it has become clear that it will be two - wheelers and three - wheelers leading the change. The electric mobility market in India has been largely geared towards these two segments for a multitude of reasons. With close to one - third of Indian households depending on two - wheelers for their daily commute, India is the largest market for two - wheelers, where a total of 19 mn two - wheelers are sold annually. Comparatively, the total number of electric scooters sold in the 2017 - 18 fiscal year was a meagre 54,800. There is an exponential growth in sight as sales of electric two - wheelers are expected to rise to 2 mn by 2030. The convenience, in terms of low battery requirements, and sweeping penetration of two - wheelers in the Indian market presents them as a baseline for the electric story in India. From the hill - top of Vaishno Devi to the streets of the Taj Mahal compound, India is home to a total of 1.5 mn battery - powered three - wheelers. While the initial cost of ownership for electric three - wheelers is higher than their traditional petroleum counterparts, their operational and maintenance cost is six times lower. With an average running cost of INR 0.5 per km, electric three - wheelers far outperform the petroleum alternative, stuck in the INR 4 per km range. Relatively lower costs are an attractive proposition for the average Indian, who is rather wallet - conscious. With a presence in bulk, three - wheelers are a segway into India’s rising electric fleet mobility. The presence of electric fleets in the form of two - wheelers, three - wheelers, buses, taxis and ride - sharing services will make them a common theme across the automobile customer market, thereby leading to further adoption. Therefore, one of the most important factors to take into consideration, and one which is particularly unique to the Indian market, is perception. A majority of the Indian consumer market is driven by peer - evaluation and peer - experiences. If the average Indian is assured that her co - peers are investing in something, they will undoubtedly be more likely to actively consider it. The value of perception is going to be key in transitioning India to a largely electric future. It is predicted that by the year 2040, electric vehicles will have a global presence of 300 mn. While this number may sound astounding as compared to the current 3 mn, it must be kept in mind that the presence of EVs needs to counter the already prevalent internal combustion engine (ICE) vehicles. This means that an exponentially higher target needs to be set for EVs to actively replace the IC engines of the world. As a developing nation, India is simultaneously moving towards industrialisation and facing the challenge of global warming. Both these facets, present India as a natural leader in large - scale adoption of electric mobility. The simple fact that India is the fourth - largest auto market highlights maximum opportunity for transition and the government has certainly set ambitious targets of electric vehicles constituting 30% of the new sale of cars and two - wheelers by 2030, as compared to less than 1% now. With set targets, it is important to acknowledge where the nation’s strengths lie and the factors unique to the Indian market that need to be capitalised on. Because it is these unique factors that will catalyze the world’s transition to complete electric mobility.